With this last win Kibo has successfully closed his American Conformation Championship! We couldn't be prouder of Kibo and his owner Kay. Another of the "I Litter" siblings was in the rings this weekend and had a great time. Our thanks go to his owner Mee Wong and her family for the love and care they give Fire. I See Fire "Fire": 2x Best of Breed and 2x Best of Group! 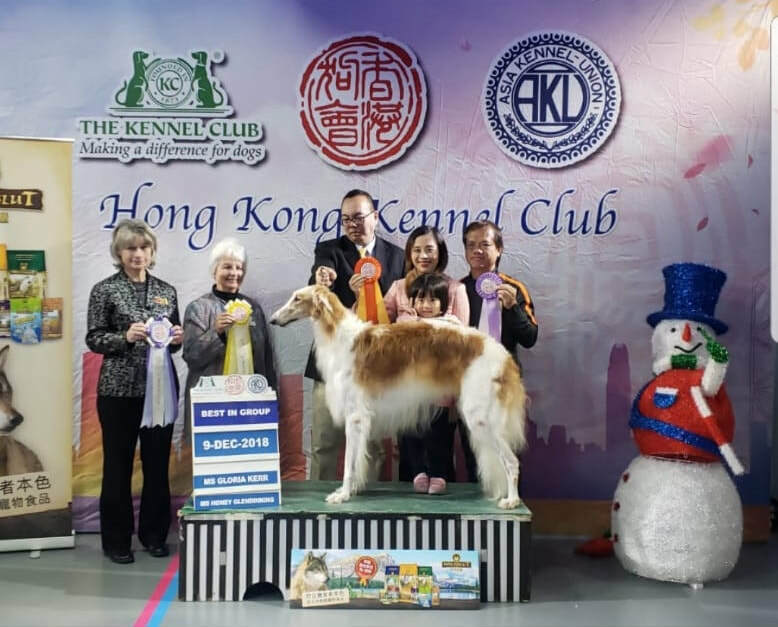 With these last victories Fire shoots up the charts to TOP BORZOI and TOP HOUND Hong Kong 2018 ! ​New Uruguayan Champion! This is the 4th Championship title Yuya has gained since starting her career in South America. We're very proud of her and her owner Jimena. 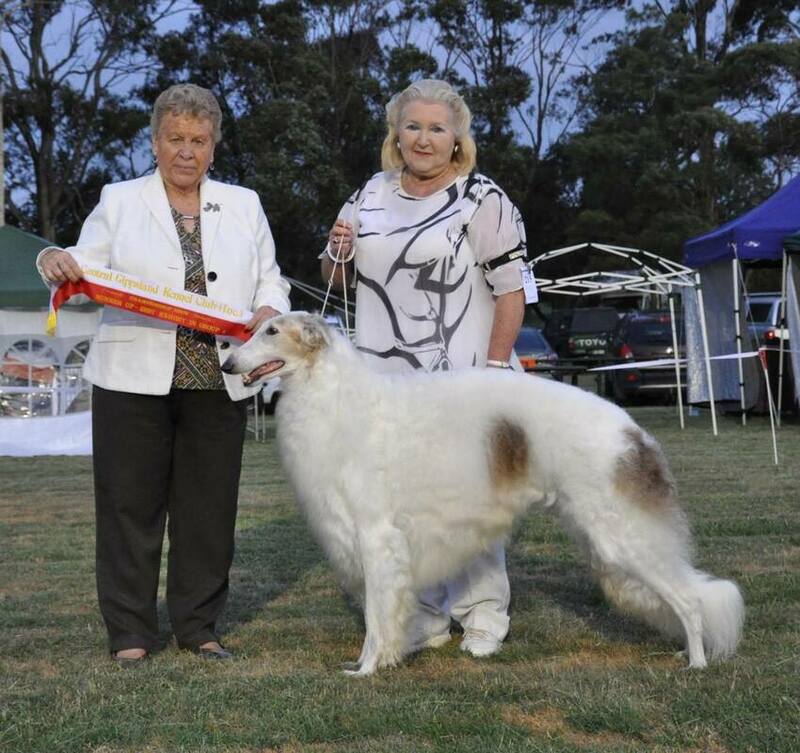 "Little" Kibo is on a roll, collecting one success after another at conformation shows. At 8 months of age he collected all the necessary minor points and is waiting for the majors to close his first title. Way to go Kibo and Kay! Sunday: Winners Dog, Best of Winners, Best of Breed Owner-Handler! Things are going well for Tantezampe all around the world this weekend! At the Rosario CC Shows, MultiCh I Remember You "Yuya" has another outing with great results! 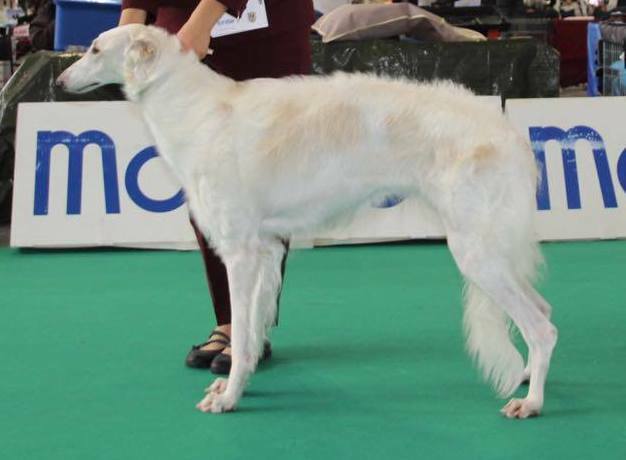 Not even 2 years old, and Yuya is already Junior Champion in 4 countries, Top Junior Borzoi in 2 countries in 2017, champion in 3 countries and is the Top Borzoi Female in her country for this year! 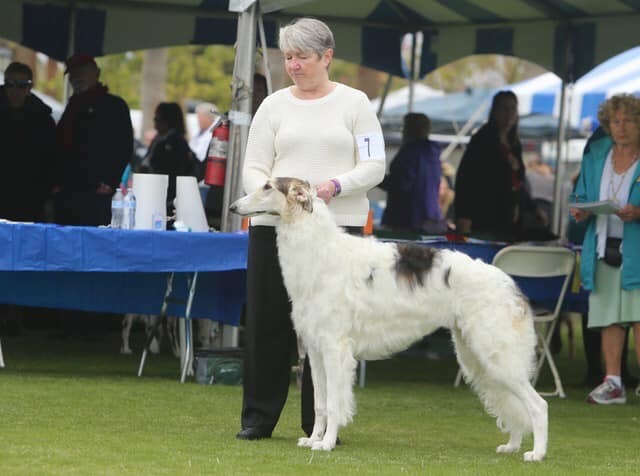 She's without a doubt the most successful dog of our I litter and we thank Jimena Paz of Octubre Rojo Borzois for all the care and work she puts in Yuya and her career. Yet another Tantezampe Borzoi had a nice weekend. This time in Slovenia, I Want You Back a.k.a. "B.B" started her adult show career. We congratulate her owner Vivian for the excellent work she is doing with B.B and wish her all the best for the future shows to come.